Steve Flowers: Inside the Statehouse: Will 2018 be the year of the woman in Alabama politics? This political year of 2018 may very well be the year of the woman in Alabama politics. In Alabama’s 200-year history, only one woman has been elected governor. Lurleen Wallace won in 1966. Only two women have served as governor, Wallace, and our current governor, Kay Ivey. It may be a historic year. Sue Bell Cobb, the former Alabama Supreme Court Chief Justice, and the first woman to hold that position, is hoping to be the Democratic standard-bearer. She was elected Chief Justice in 2006, in a very expensive, high-profile battle with Republican Drayton Nabors. She had been a District Court Judge in her native Conecuh County for a long time before running statewide. She was elected to a six-year term as Chief Justice in 2006 but quit after four years. It’s amazing that it is still necessary to instruct U.S. presidents on the damage that tariffs do to people. You would think that by the time a person becomes a president of a country, he would be wise enough to know this. Even many progressives and conservatives have finally joined up with us libertarians in opposition to tariffs. The subject arises with President Trump’s unilateral decision to impose tariffs on imported solar panels and washing machines. The targeted countries are China and South Korea (yes, the country that Trump and the U.S. national-security state say that they’re interested in protecting from North Korea). First we had “PizzaGate,” in which a misguided — but heavily armed — young man chasing a ridiculous conspiracy theory fired shots inside a Washington, D.C., pizza parlor in 2016. We’re back with another recap! In this week’s Taylor’s Top Six, we’ve got a few updates on things we discussed in the last installment, as well as some new bills that were introduced last week. Let us know what you think of what’s going on in Montgomery! 1. My two favorite words in the English language: tax break. There must be something in the water. First a tax break from Washington and now one in Alabama? Under a bill by Sen. Del Marsh (R-Anniston), the standard deduction brackets for lower-income taxpayers would change. Certain taxpayers, depending on how they file their taxes, could see an income tax decrease if they accept the standard deduction and do not itemize. Some folks are saying any tax decrease is good for the taxpayer. Others are concerned with tax dollars leaving the state budget. The bill unanimously passed the senate. Sometimes Martin Luther King, Jr. celebrations make me sad. No, I am not sad because there are celebrations. In fact, I am very glad that Dr. Martin Luther King, Jr. is celebrated on the third Monday of each January. 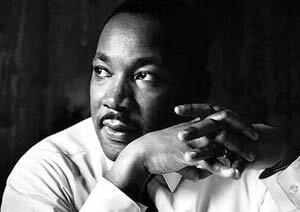 I remember firsthand the very difficult 15-year struggle from the date of his death to create a national holiday celebrating Dr. King. As we celebrate his birth in the 50th year of his death, sometimes the King celebrations make me sad. First, the celebrations make me sad because most do not deal with Dr. King’s dedicated life, sterling example, and continuous struggle. The most we deal with is the last sentence in the last paragraph of his memorable speech spoken during the gigantic march on Washington in 1963. If we dealt with the whole speech, we would make some progress, but we don’t. Two weeks ago, I was reading a food blog with instructions on how to throw better dinner parties. In the grand tradition of lifestyle bloggers, the author promised me that everything would be much better if I just stopped trying so hard. He included a recipe for baked ham and suggested that hosts everywhere should just chill out and let guests slice their own sandwiches. Play it right, and everyone would be so happy and full that Ina Garten and her sweet husband Jeffrey would moan with a mix of pleasure and jealousy. The history of open immigration in this country makes a favorable case for poor and uneducated immigrants. It might just be the huddled masses we need most. From the end of the Mexican War, in 1848, until the 1920s, the only obstacle to travel across the southern border was terrain. Usually poor and uneducated, people crossed and traded across this line without restriction and helped to settle the American West. Hispanic Americans today are known for their strong work ethic and commitment to family, religion, and community. Steve Flowers: Inside the Statehouse: Can a Democrat replicate the Doug Jones miracle in next year's gubernatorial race? As the 2018 state elections begin, let’s take one last look at the 2017 Special Election to fill the remaining three years of Jeff Sessions’ six-year term which, by the way, comes up in two years in 2020. It is assumed by most astute political observers that the winner, Democrat Doug Jones, cannot win election to a full term in 2020, simply because he is a Democrat. I am not ready to write Doug Jones off so quickly. I would contend that Jones would not be a cupcake to take on after two to three years on the job. Doug Jones knows what he is doing. He is a seasoned political veteran that will hit the ground running in Washington. I believe that he will be a far superior Senator for Alabama than Roy Moore. President Trump’s “Fake News Awards,” posted late Wednesday, were more gimmick than “gotcha” — worth a moment’s attention, perhaps, but not much more. Unsurprisingly, the “winners” were CNN, The New York Times, ABC News, The Washington Post, Time and Newsweek. The announcement began by calling out a Times columnist who predicted the economy would sag under Trump and ended with yet another CAPITAL LETTER-laced rant about the ongoing investigation into Russian interference with U.S. elections. Hang on to your wallets. Lawmakers have returned to Montgomery. Back by popular demand, Taylor’s Top Four is here to fill you in on the things you ought to know from the legislative session. Since we’ve had a couple of slow weeks in Montgomery for lawmakers, we’ll keep this one short and sweet. Questions about President Donald Trump hit a fever pitch a few weeks ago following his tweets about the size and potency of his nuclear button. Of course, such questions are nothing new. Throughout the campaign and Trump’s first year in office, news articles, op-eds, and tweets critical of him have routinely deployed words such as “crazy,” “insane,” and “unstable” as epithets. But what are the implications of the use of mental health language in such critiques for how our society views mental illness? Hank Sanders: Senate Sketches #1597: Alabama has a once in a lifetime opportunity! There is a big industry coming to Alabama. It will have a big economic impact. I appreciate that this big industry is coming to Alabama. But there is even a bigger industry that really wants to come to Alabama. I want to contrast this big industry coming to Alabama with an even bigger industry that really wants to come to Alabama but has not been invited to come. I will contrast these two industries by their impact on the following: state investment; geographic reach; jobs provided; state revenue; individual citizens; various institutions; etc. I am glad that this big industry is coming to Alabama. I am sorry that the even bigger industry may not be coming to Alabama. Last week, the Trump administration issued policy guidance that effectively ends Medicaid as we know it, allowing states to place punitive work requirements on certain Medicaid recipients—more than 7 in 10 of whom are caregivers or in school. Although these so-called work requirement policies may seem reasonable at first glance, in practice, they’re a way to strip away health insurance from struggling unemployed and underemployed workers. President Donald Trump’s actions are just the latest shoe to drop in his party’s deeply unpopular crusade to undermine Americans’ health care—including the highly popular Medicaid program—and come on the heels of a tax cut that rewards the massively wealthy over working Americans. A while back, during Dr. Robert Bentley’s tenure as governor, I wrote a column entitled, “They May as Well Move the Capitol to Tuscaloosa.” Never before in Alabama history has a city had a sitting governor and the state’s senior U.S. Senator hail from that particular place. Even with the departure of Bentley as governor, the Druid City has an inordinate amount of presence in the state’s political sphere of influence. Senator Richard Shelby is in his 32nd year as our U.S. Senator. With that kind of seniority comes immense power in Washington. Shelby is Chairman of the Senate Rules Committee and is easily one of the three most powerful U.S. Senators. "Trump says we don't have to let you in"
Hours earlier, a police officer had stopped Laura on her way home from work in a car with her cousin Elizabeth. She had no license, no registration — and no visa to be in the United States. commemorate the life and legacy of Rev. Dr. Martin Luther King Jr. with church services, elementary school skits, and civic club speeches—much of it seemingly rote tribute. Every MLK Day we trot out the same old platitudes, mouth the same old sentiments, and repeat the same old stories. We go through the motions of honoring not so much the man but the myth he has become. We’ve recast King, making him fit into a reshaped American narrative—one that airbrushes an ugly and vicious not-so-distant past into a less than “enlightened” time in history. Making it easier to sue people for libel is not a good idea — for our democracy in general, and even for President Trump and a few of his personal lawyers, in particular. The Alabama Legislative Session began this week and, by all accounts, it’s expected to be an uneventful year. The only goal lawmakers seem to have is to pass the budgets and go home. Beyond the typical budget issues, there’s a lot of unfinished business involving our infrastructure, healthcare, education, and jobs that we need to address – and all of these issues go hand-in-hand. This past year has seen a sustained federal attack on state insurance markets. Congress repeatedly sought to repeal the Affordable Care Act (ACA) and significantly cut funding for Medicaid. While these efforts proved unsuccessful, President Donald Trump and his allies in Congress were able to repeal the individual mandate in the regressive tax bill they passed at the end of 2017. And the Trump administration has taken a number of steps to drive up costs and drive down coverage, including by halting billions of dollars in federal payments that help keep people’s deductibles and co-pays low and by directing agencies to seek ways to increase the number of substandard plans in the insurance marketplace without adequate consumer protections. A few months back the Jefferson County Republican Party honored our Senior U.S. Senator, Richard Shelby. It was held at The Club in Birmingham. The view from atop Red Mountain from this elegant club is spectacular, especially at night from the ballroom. The glass enclosure allows you to see the grandeur of the Birmingham skyline. As you glimpse at the scene you can see many of the buildings that are the heart of the University of Alabama - Birmingham. What will you do this year to be an engaged member of a democratic and tolerant community? Here are five items to add to your New Year's resolution list. Ah, January, the make-or-break month for New Year’s resolutions. Don’t you think that our elected officials—members of the legislature, state school board, executive branch, and others—should adopt some resolutions? I’ve got a few ideas for them. 1. Commit to protecting taxpayers. Want to raise taxes? Meet them with an offset elsewhere. Want to accept additional federal funding? Ask your constituents what they think, and make sure the program for which you’ll be accepting funding won’t put the taxpayers on the hook for an additional financial burden down the road. Want to help more Alabamians find jobs and start businesses? Consider doing something about burdensome occupational licensing restrictions. Fiscal responsibility and standing strong against policies that hurt taxpayers requires resolve, but it isn’t difficult. Born a black woman in rural Mississippi, just before the Emancipation Proclamation, she wasn’t supposed to make an impact on the world. But, she did. With her parents dying at age 16 of yellow fever, it was unlikely she would become nationally known and even internationally renowned. But, she became a household name even across the Atlantic Ocean in Great Britain where she lectured. Sadly, many today don’t even know her name. The great A. Leon Higginbotham called her a progenitor of Rosa Parks because she challenged a railway segregation law all the way up to the Tennessee Supreme Court. I expect 2018 to be one of the best years of my life. I hope and pray that 2018 is one of the best years of your life. It is great that our best year is not dependent upon our last year. We all can have a great year in 2018. What will make 2018 one of the best years of my life? The answer includes family, friends, community, work, and spirituality. These are not all the important areas of life, and they are not necessarily in order of importance. Each is necessary, and each impacts the others to form a great year. I believe that success in these areas of emphasis will result in a very good 2018 for you as well. As we enter the 2018 campaign season, many of you have asked me to look back and analyze the 2017 Special Election U.S. Senate race and explain in depth what happened and why. The most asked question is how could a Democrat win a U.S. Senate seat in Alabama, and does this mean that we are now possibly a two-party state? I will give you numerous answers, however, the simple answer to why a Democrat won is that Roy Moore was the Republican nominee. Are we a state that can go either way in an open U.S. Senate seat race? As we have just seen, it is possible but not probable. The Democrat, Doug Jones, won in the perfect storm. We will probably never experience this same scenario again. There are two maxims in politics that over my years of following politics never fail and become truer and truer. The more things change, the more they stay the same. One is that money is the mother’s milk of politics. The second is that more people vote against someone or something than vote for someone or something. You sometimes suspect that you’re not as well-informed as you should be. When you read about that study that found that middle school kids were unable to distinguish paid advertisements from news stories, you shook your head sadly — then secretly wondered if you would do much better. You’ve heard that most people are so entrenched in their own beliefs that even indisputable facts can’t change their minds, and would really like to believe you’re different from most people. (But doesn’t everyone think that?) You have, on at least a couple of occasions, pretended that you were familiar with a subject you actually barely understood.